Jordan Ramis Invites Ascent to Builder's Perspective Breakfast! Jordan Ramis Invites Ascent to Builder’s Perspective Breakfast! 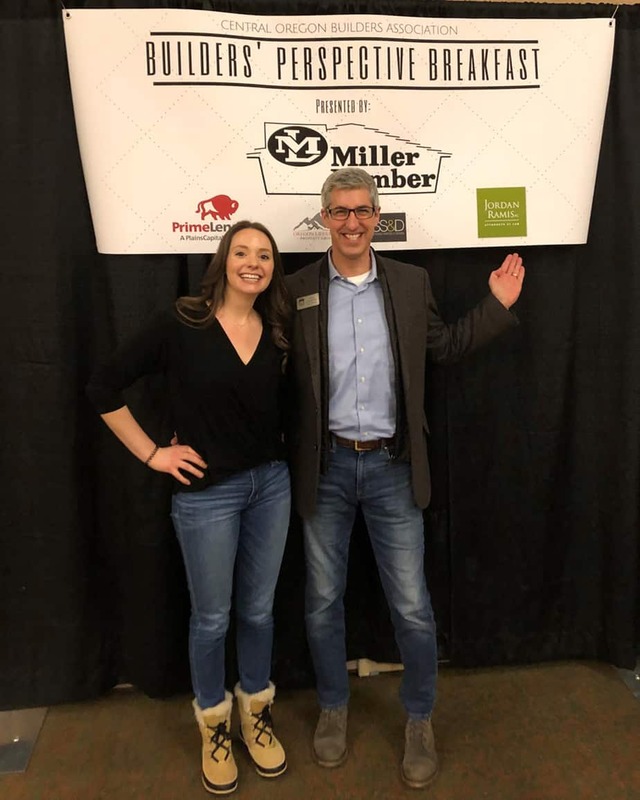 Project Coordinator Victoria Tranca and Marketing Administrator Olivia Tycksen learned about the challenges and opportunities local contractors face at the Central Oregon Builders Association’s (COBA) Builder’s Perspective Breakfast earlier this month. Jordan Ramis invited Ascent Architecture & Interiors to join their table and listen to a thought-provoking panel presentation from Stone Bridge Homes NW President Kelly Ritz, Timberline Construction Owner James Fagen, Kirby Nagelhout Construction President Jeff Deswert, Hayden Homes President Steve Klingman, and the special guest and moderator, Regional Economist Damon Runberg. After covering topics like the 2008 recession that forced many skilled workers to leave the construction industry, we were encouraged to learn that Jeff Deswert and SunWest Builders Owner Steve Buettner have launched a construction training program at Central Oregon Community College to try and resolve the current tight labor supply. Thank you for the eye-opening breakfast, Jordan Ramis!